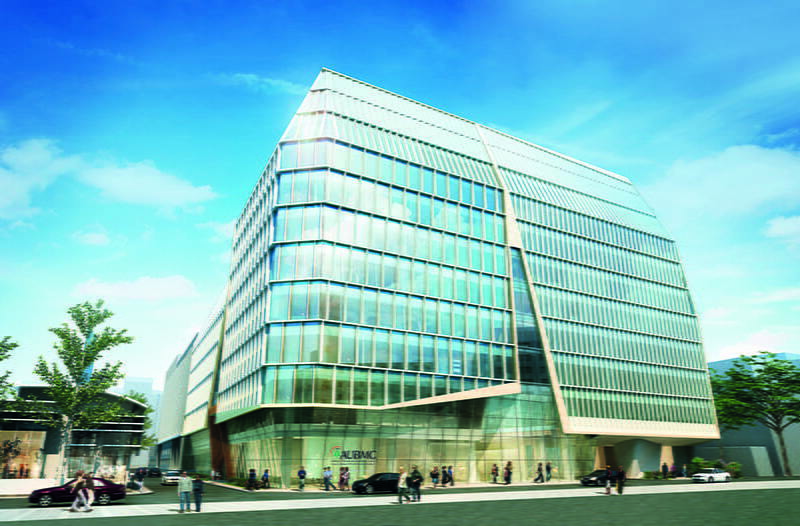 October 31, 2014– The Halim and Aida Daniel Academic and Clinical Center (Daniel ACC) at AUBMC was announced by Contract Design Magazine* as the winner of the Conceptual Design for the Healthcare Environment Awards 2014, recognizing innovative design that enhances the quality of healthcare delivery. The life-enhancing interior design of the 14-story (9 above ground, 5 below ground) academic and clinical center to be completed by 2016, combines our three pillars of research, education and patient care programs. The first facility of its kind, the Halim and Aida Daniel ACC, will be the most modern medical building in Lebanon. It will be home to centers of excellence, educational centers, outpatient clinics, a same-day surgery program and underground parking. The Halim and Aida Daniel ACC was designed by NBBJ and they will be receiving the award at the upcoming Healthcare Design Conference on November 15-18, 2014. The Halim and Aida Daniel Academic and Clinical Center is a major milestone in the development of the AUBMC 2020 Medical Complex. We are committed to bringing the latest in health care design to the people of Lebanon and the region. * Contract Design Magazine is the most valuable resource for the Architecture and Design community. It is the only publication that regularly presents the value of these concepts, practices, and trends, demonstrating the business return of design. Congratulations @DrFadloKhuri for being recognized by @WHO in the World No Tobacco Day 2018 Awards for the #TFreeAUB initiative and a career of treating cancer patients. Proud @aub_lebanon the first Arab campus (we know of) to go completely tobacco free https://t.co/cnehwOkF4w.